Those of us who have recently fallen in love with Panerai, or the PAM for true enthusiast, may not know this, but Rolex is the original manufacturer. In 1936, the Italian Navy contractor, Guido Panerai et Figlio, contacted Rolex to produce a unique diving watch for the Italian Navy. Rolex agreed to create a unique large dial watch for the Italian Navy, which is exactly what the Panerai designs of today are based off of. Hans Wilsdorf, founder of Rolex, was intracal in producing this unique diving watch. Many watch experts refer to these types of diving watches as tool watches. 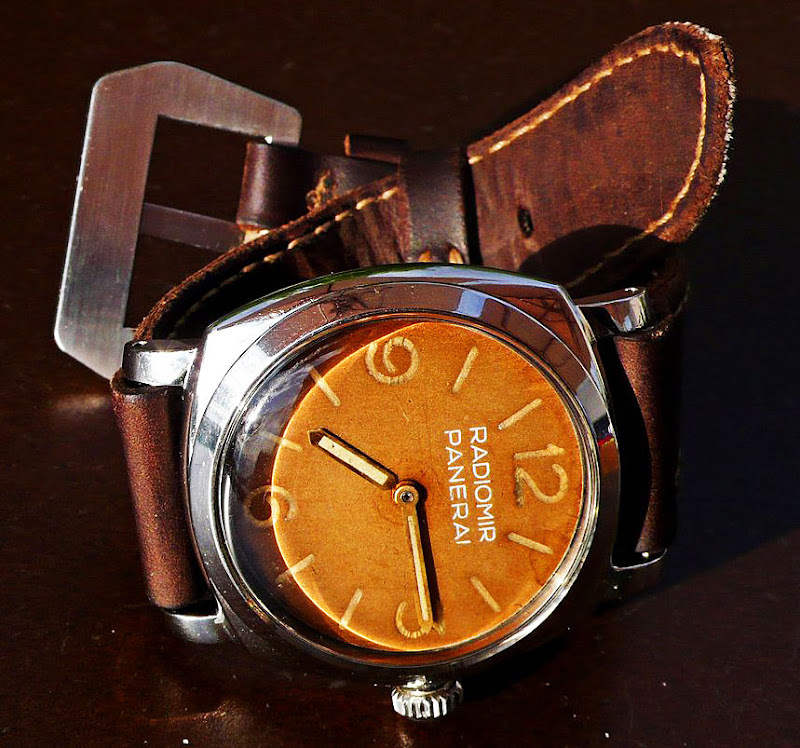 What is also quite amazing is that the dial of this Panerai/Rolex design is also still popular today. Even after more than seventy five years, the Califormia dial produced by Rolex is still used by both companies. The California dial is now an iconic look that countless Swiss watch companies have adopted. Seventeen years after Guido Panerai commissioned Rolex to produce the diving tool watch, Rolex came out with its own tool watch, the Submariner. Obviously, the Submariner is a smaller watch in general but far more useable with its rotating bezel used for timing dives. Rolex’s history is full of unique and wonderful items. We are excited to always show our clients a little piece of history from an organization like Rolex and Panerai. Next articleWho Wore a Rolex? OK… in my last article the other day, I asked if it was reality or if it was me. Now I think it’s reality….